Come February and countries around the world get ready to celebrate the season of love. Shops get stocked up with greeting cards, flowers, chocolates and other gifts packed in heart shaped boxes, bags,etc... 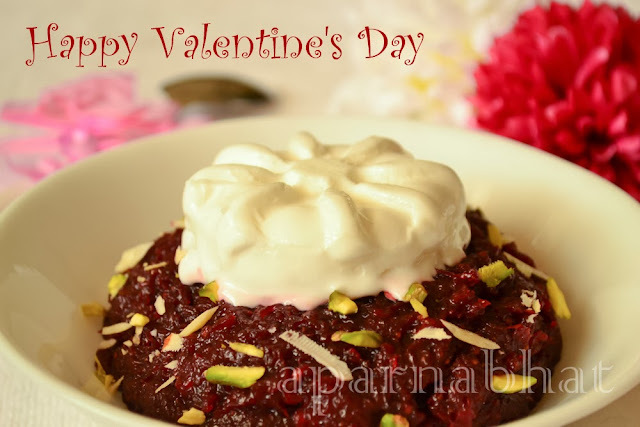 I still remember my junior college days when valentine celebration was still catching up in India. Slowly over the years it got popularised amongst the youngsters and how the Archie/Hallmark card shops were thrashed by protesters across Mumbai streets. I am totally unaware of the present situation back in Mumbai, but would assume that the popularity of this day back home must have been multiplied due to the increased use of internet and online shopping. We, me and hubby [ 'm sure you too] believe that, when we have all 365 days in a year to celebrate and express our love towards near and dear ones, the one day hype or publicity to celebrate this "V"day or Mother's day or Father's day is purely for profit making with respective businesses. Having said that, I would like to mention that such special days [keeping the consumerism out of it] can be looked upon as an added opportunity to express your feelings for dear ones which you may fail to do so in daily chaos [if it happens more often]. 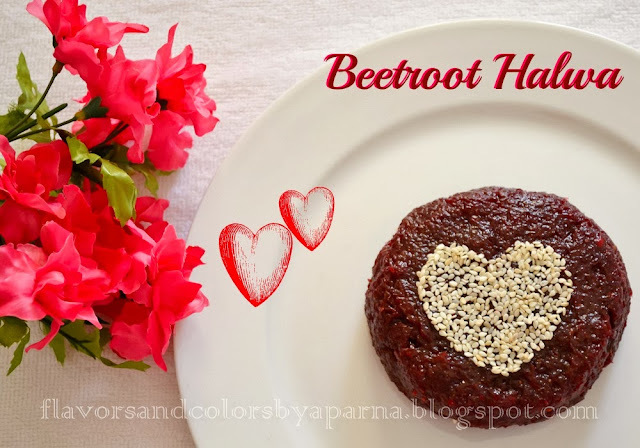 I dedicate today's post "Beetroot Halwa" to thank all my readers who show their love and support, and take this opportunity to celebrate it with them. Serve warm with scoop of vanilla ice-cream or chill it in fridge to serve it as cold dessert. Note: Khoya and/or condensed milk adds richness to the halwa. Express yourself and show your loved ones lots of love not just today but EVERYDAY !